The damage smoking tobacco causes to the smoker’s health has been established and is no longer disputed. However the effect it has on non-smokers in the area, particularly children, can be just as bad, especially in enclosed areas. Smoking in cars has been given particular attention as levels of second hand smoke in cars can be extremely high. Research from Canada showed that the car’s confined spaces are particularly dangerous in presence of smoking because second hand smoke caused by smoking reach a toxic level quickly, even if one attempts to open the windows or operate the ventilation system. Researchers noted that in the condition with the least airflow (motionless car, window closed) levels of fine particles (known as PM2.5) that can be breathed in, were over 100 times greater than the US Environmental Protection Agency’s (EPA) 24-hour standard for fine particle exposure and 15 times the EPA’s “hazardous” rating. Second hand smoke exposure is particularly harmful for children. Second hand smoke exposure is particularly harmful for children because they have smaller lungs and a weaker immune system. Children are a vulnerable group who cannot decide for themselves and depend on the actions of their caregivers. 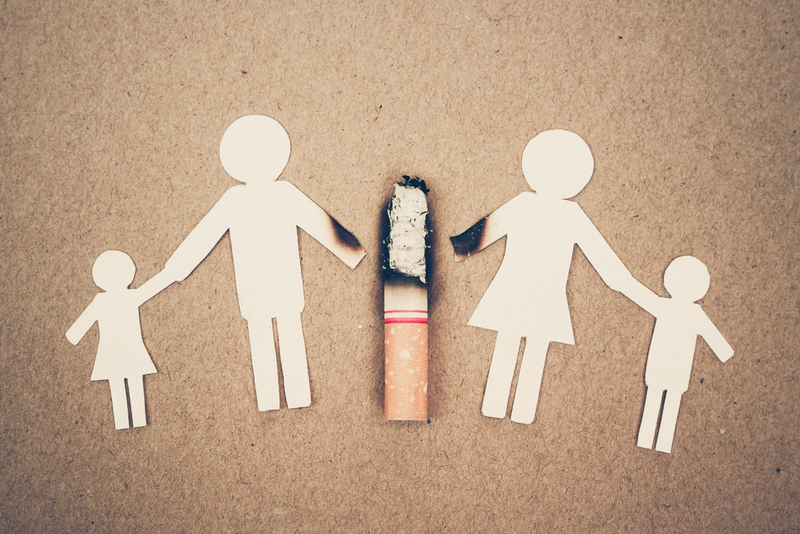 As a vulnerable group, children cannot protect themselves from second hand smoke exposure because they are often not aware of the health risks of second hand smoke exposure; even if they are, they cannot communicate or may be too afraid to ask adults to stop smoking. Quitting smoking if you smoke. Help is available to support you to quit through free support services from the Health Promotion and Disease Prevention Directorate on 8007 3333. For more information contact the Health Promotion and Disease Prevention Directorate on 23266000 / Tobacco helpline freephone 80073333.